Federal Communications Commission Chairman Ajit Pai is facing backlash online after the government agency voted Thursday to repeal landmark Obama-era rules that were designed to ensuring a free and open internet, setting up a court fight over a move that could recast the digital landscape. The plan had not been popular leading up to the vote, with at least one poll from the University of Maryland finding more than 80 percent of respondents opposed the proposed repeal of net neutrality rules ahead of the vote. Commission Chairman Pai, who voted in favor of the rollback, had specifically received harsh criticism from some online communities in the weeks leading up to Thursday's meeting, but the backlash took an especially dark turn after the vote, as various Twitter users began chastising him, with many even calling for the chairman to "kill" himself. "Today Ajit Pai took away our freedom of speech. Our freedom of information. Please, somebody kill this man. Make it painful too," one user tweeted, while another wrote: "Sincerely, and I mean this with 100% seriousness and honesty. Kill Yourself." Others even went as far as to tweet death threats. "If I can not open my internet tomorrow and it says I have to pay for anything I will hunt you down and kill you myself," one user fumed, while another tweeter wrote alongside a photo of three men holding guns: "We lost #NetNeutrality now you lose your life." 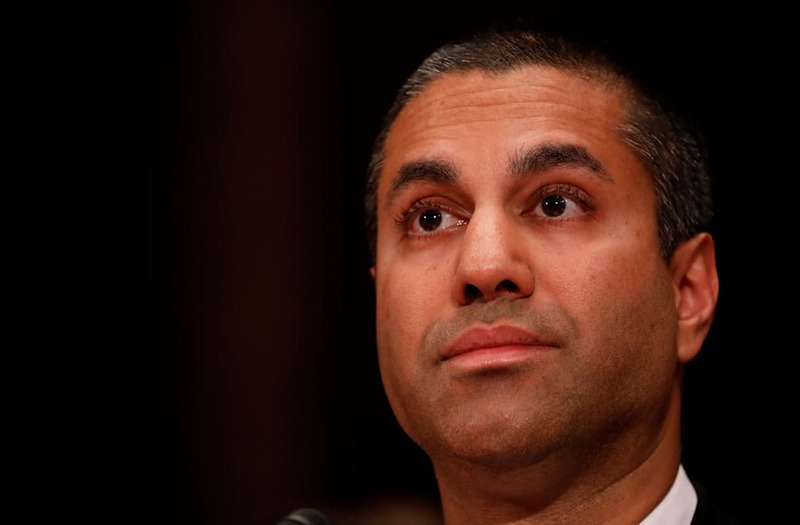 Security has already been a concern for Pai and his colleagues, as the FCC meeting was briefly evacuated and swept by a security team shortly before the vote. Lawsuits and challenges are expected in the coming weeks and months before the vote has any direct impact on consumers. New York Attorney General Eric Schneiderman released a statement shortly after the vote announcing plans to lead a multi-state lawsuit to challenge the reversal. However, many support the decision, including House Speaker Paul Ryan, who issued the following statement following Pai’s actions to undo net neutrality regulations. Pai has defended the decision, arguing that the original rules established in 2015 were heavy-handed and stifled competition among various service providers. His critics, including the two Democrats on the panel, have argued the protections keep the internet "open" as they prevent service providers from blocking, slowing access to or charging more for certain content.